Whether you’re just starting a fitness routine or looking to add a little variety to your exercise program, a member of our talented fitness team can help you set and achieve your goals! Scroll down to learn more about each of our personal trainers. 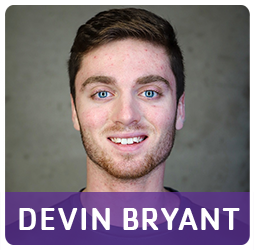 Devin is a former athlete who trains and motivates like a good coach does—by creating strong relationships with his clients and focusing on the power of strength and conditioning. If something is worth doing, it’s worth doing right. The results you want come from the amount of physical and mental effort you’re willing to give. 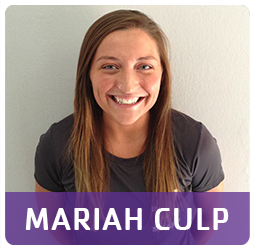 Monday & Wednesday, 5 – 11 a.m. & 6:30 – 9 p.m.
Tuesday, Thursday & Friday, 8 a.m. – 6 p.m.
Mariah specializes in strength training and weight loss. When she teams up with a client, she sets out to inspire and educate them on how to build better confidence, healthier habits, and change their lives from the inside out. Your fitness is 100 percent mental. Your body won’t go where your mind doesn’t push it. Monday-Thursday, Noon – 6 p.m.
Friday, 11 a.m. – 4 p.m. 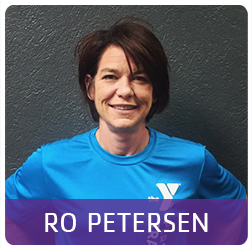 Through her very own 170-pound weight loss journey, Ro found a passion for fitness that inspired her to become a personal trainer and help others become the best version of themselves. Whatever the goal, your success is found in your daily routine. Find what you love and do it consistently and with intensity. If it doesn’t challenge you, it won’t change you.